Every now and then, a rumour pops up about online content- blogging to be specific- being dead and buried as a communications tactic. Video is EVERYTHING. Must embrace video! Writing is BS. Speaking of BS- what a load of crock! Blogging, and content marketing in general is freaking fabulous and so incredibly powerful as a tool to amplify your business and branding. Content marketing is a communications tactic, and like all of them, needs to be aligned to your audience and your messages. 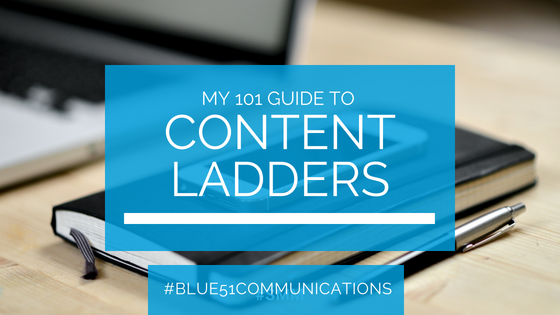 If your audience isn’t consuming written content, then chat amongst yourselves for a tick. If, however, the written word, your message and your client are a match made in heaven, then let’s maximise the b’jesus out of your content so every piece has multiple touchpoints and applications across your marketing. 10 individual videos or Facebook lives that detail each fact. Clearly, this is enough content to fill a schedule for months, if not years. I know I’m a Word Nerd, but this concept gets me positively giddy with the possibilities. Maximising content is one of the writing for business concepts I cover in my Writer’s Toolkit Workshop. Find out more, and book into an upcoming workshop here– I’d love to work with you on your business writing projects. Tell me, do you maximise the b’jesus out of your content? This is a post in my Writing for Business blog series . Each month, I share insights, hints and tips from my writing bag of tricks. 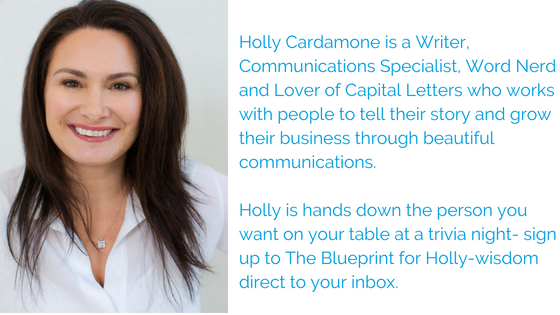 I’ll show you how to rock writing a range of products, tactics to online communications glory and how to use communications and PR to solve your business marketing problems. If there’s something specific you’d like to know, please shoot me an email or give me a buzz, and I’ll do my best to help, or address it in an upcoming blog post or on my social media platforms.